An ‘Upside down’ cottage with farmland views. 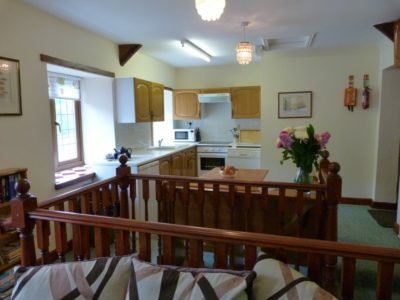 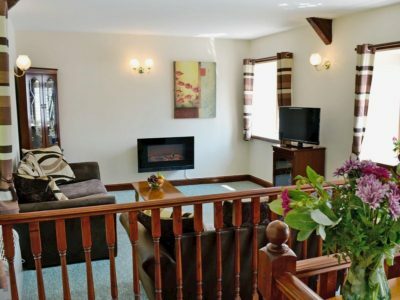 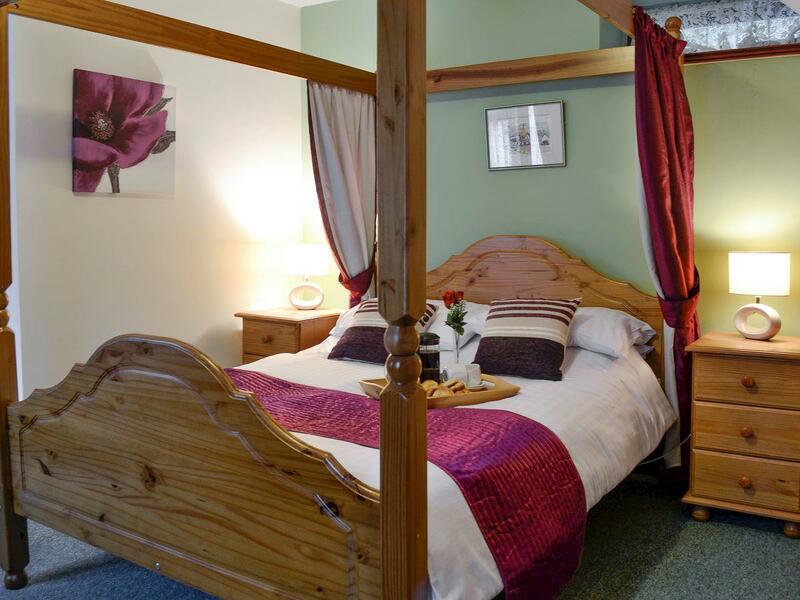 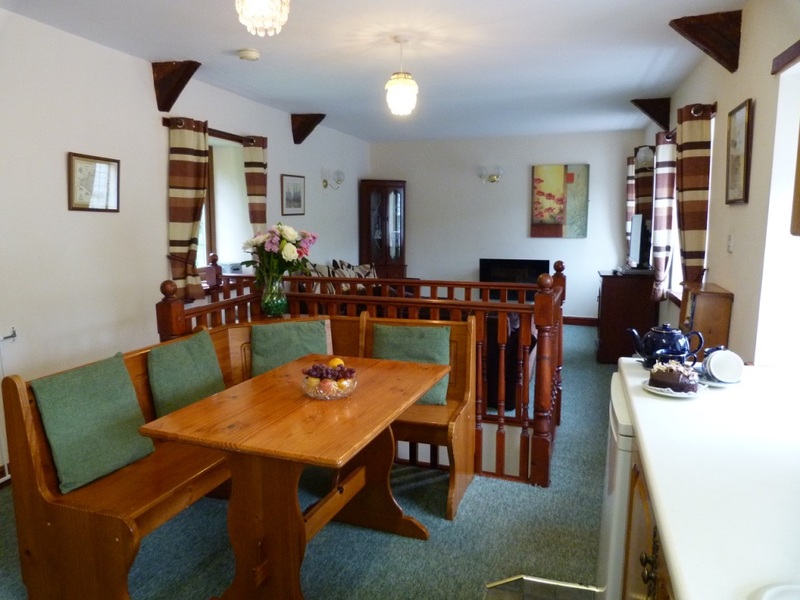 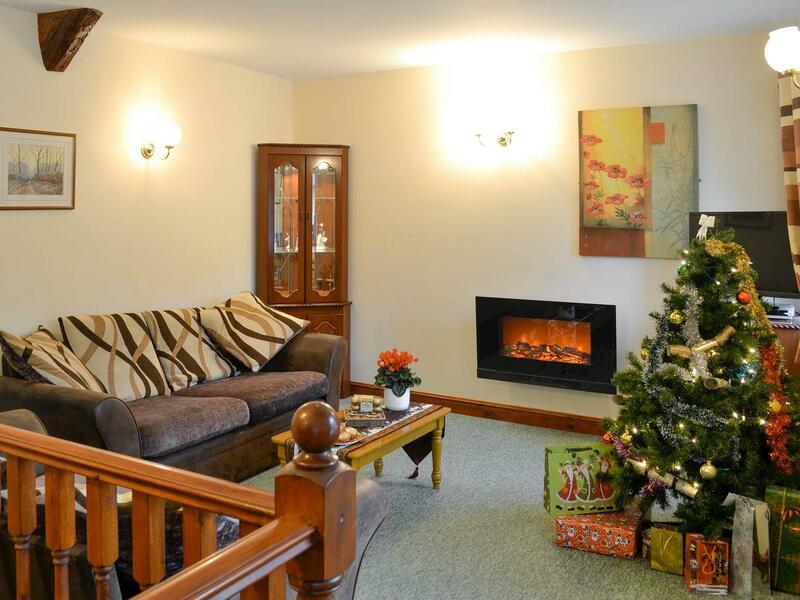 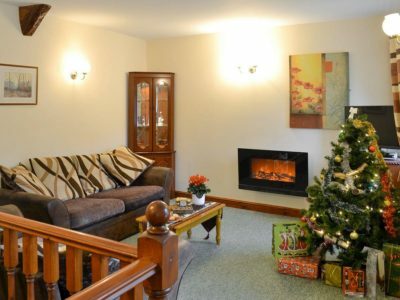 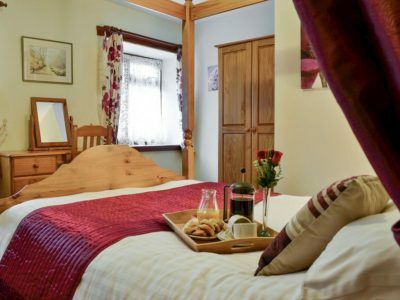 Ground floor double bedroom with four poster bed. 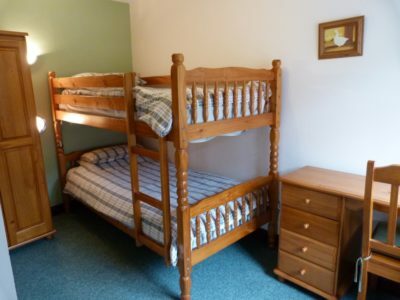 Twin bedded room with bunk beds. 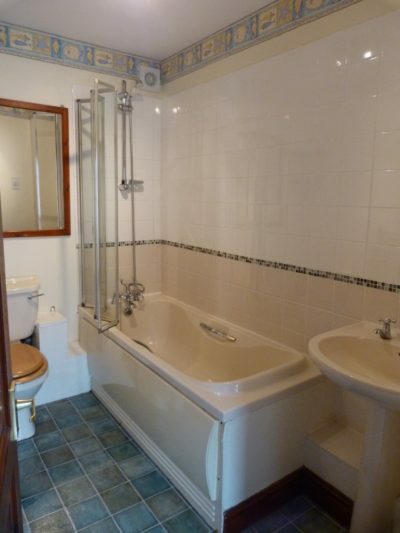 Bathroom / WC. First floor kitchen / dining area and sitting room. Small bridge to the garden.